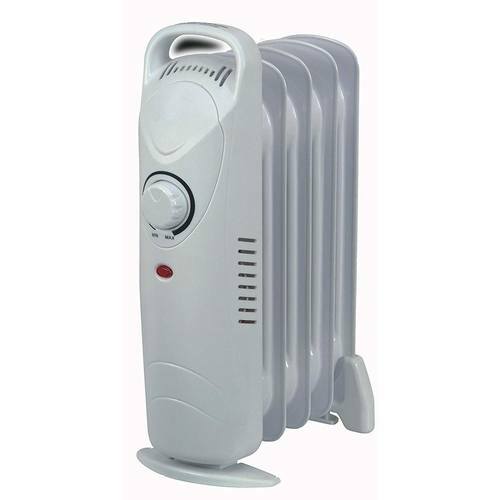 This mini oil filled electric radiator is compact and unobtrusive, keeping you warm wherever these is a power supply thanks to the added portability you get with a carry handle. The appliance is thermostatically controlled, to keep electricity bill to a minimum, and not overheat your living space. It also has simple to use controls, carry handle, easy to clean surface and is mounted on castors for easy movement. Heat Output: 500 Watt and Voltage: 230V-50Hz. Please advise of the size as in width, height & depth. Thank you.